This is a rare opportunity for investors to buy valuable unclaimed property from the State of California at low online auction prices! 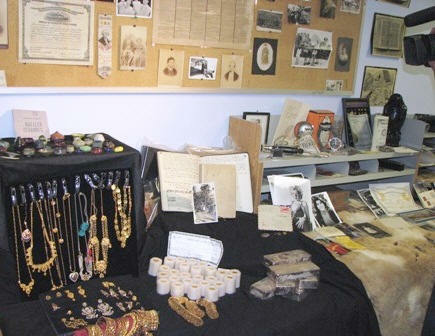 The State of California periodically sells unclaimed items found in safe deposit boxes like fine jewelry, loose diamonds, gold bullion and collectible coins and paper currency in live public auctions. 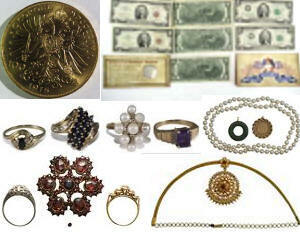 Listing below includes California unclaimed property and estate sale items. The State of California lists unclaimed property for auction online at regular intervals. If you don't find California unclaimed property items listed above, please check out unclaimed property auctions from other states listed below. Between January 2007 and April 2011, Controller Chiang reunited owners with more than $1.6 billion of property that had been lost or forgotten – $1.12 billion that had been sent to the State, and $491.4 million that was reclaimed by owners from the business before it was sent to the State.